Hey everyone (or particularly those following the halloween countdown), I had a terribly busy weekend...but will have several nice posts coming your way in a little bit, so please keep checking back!! Imagine that it's Christmas eve, a blizzard chimes it's white silence outside your car windows as you make your way down an isolated back road. You are frightened and alone. All you want right now is to safety of a family celebration....bright lights, the aroma of food, and the smiling faces of your loved ones. Yet, in an instance, your worst fear is realized as you lose control of your car and find yourself stranded, alone, and near freezing to death. That is exactly what happens to Carol Prescott in Karen McCullough's latest novella. 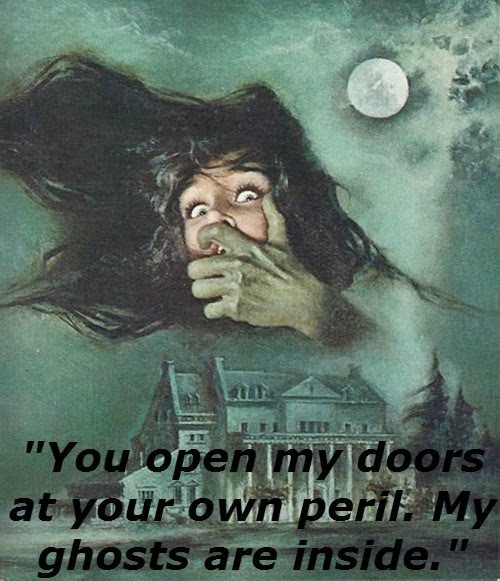 Frightened and alone, Carol takes her chances at approaching a house for help. Thankfully the house is occupied, but handsome Michael Carpenter only warns her away. Karen thinks him perhaps an eccentric recluse, that is until an evil apparition appears. And Michael admits he's a vampire, starved for a hundred years, desperate for the meal of young blood. 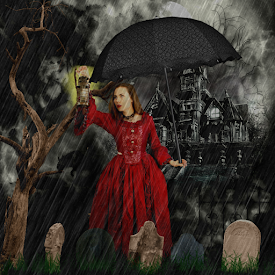 Before she knows it, Carol is faced in a life and death situation with a real, live vampire who is unsure he can sequester his urge to drink her blood. And even if he doesn't, she must witness his death before the light of dawn. Unless she can find a way to help him...or will she become a victim of the night? 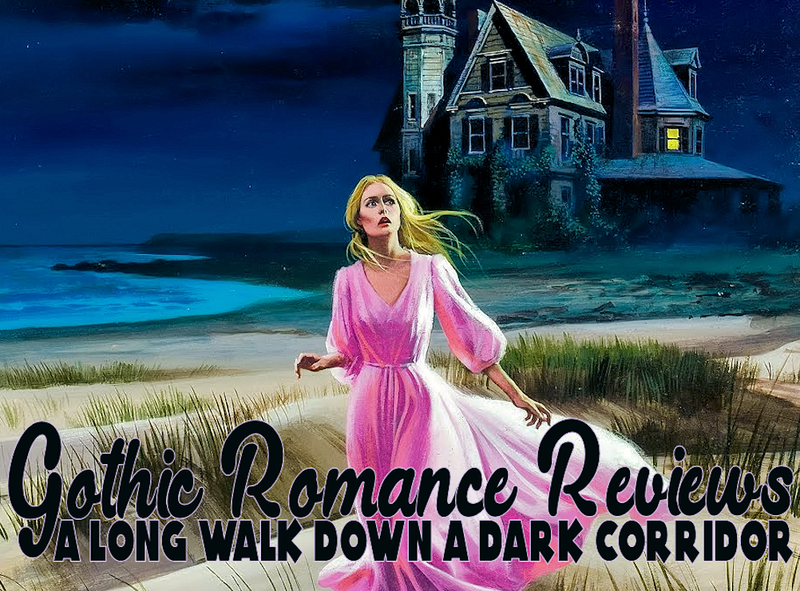 Mrs. McCullough has weaved a riveting novella of romantic, paranormal suspense that promises not to disappoint fans of the genre. The story wraps you into it's atmospheric riff from the first couple of lines and keeps you glued at each suspenseful turn as Carol and Michael share their stories and bide for time (and wits enough) to save both of their lives. Highly recommend this contemporary tale. A quick and effortless read! I am delighted that Mrs. Karen McCullough, herself, has been generous enough to offer us a small glimpse into her life as a writer and shed a bit of light on the harrowing, suspenseful tales she seems to weave so effortlessly. Please enjoy the interview below as Karen enlightens us with information and ideas on her writing as well as offering some valuable advice for other writers! Stacy: I found this book to be so interesting, so much detail into the lives of the two main characters. Where do you get your ideas from, what inspires your stories? Karen: Ideas come from everywhere: reading the newspaper, watching television, songs on the radio, just walking around the neighborhood and living my daily life. The hard part of writing is turning all those ideas churning around in my head into a coherent plot. 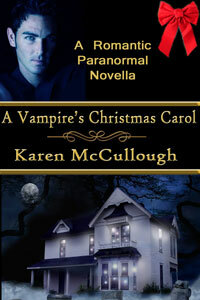 In the case of A VAMPIRE’S CHRISTMAS CAROL, I was invited to be part of an anthology of paranormal Christmas stories. Since I was doing the vampire story, I was casting around for a germ of plot, when the title just sort of popped into my mind, and I knew it was right. So then it was just a case of figuring out how to adapt Dickens’ marvelous Christmas story to an American vampire story. I’m actually not a huge fan of vampires as story heroes, although I’ve read plenty of them. I prefer the more traditional view of the vampire as an evil, dangerous, but understandably seductive creature that steals other people’s lives to prolong their own. (Aside: my son once described vampires—very accurately, I think—as giant, human-shaped mosquitoes.) Anyway, I decided my vampire had been turned without his desire or consent, didn’t want to be one, and was taking the only way out he saw. So was there a way to rescue him? Stacy: I felt myself feeling sorry for both characters, especially Michael, and rooting for the two to find a way to be together. Do you ever find yourself getting attached to your characters and wanting to write the story in favor of their best interest? Karen: Always! I don’t think I could write about a main character that I didn’t care for. Which makes it awkward at times, because the truth is I put most of my characters through the wringer before they can achieve a happy ending. Michael and Carol certainly earn whatever they gain. I’ve always thought it ironic that authors do care deeply about our characters, but we also give them a very hard time throughout the story. They tend to suffer terrible losses, get threatened, beat up, tortured, shot, kicked around, etc. One of the reasons I write genre fiction is that I want to be able to give my main characters a triumphant ending, but that isn’t worth much unless they’ve had to work hard, make some difficult choices, and even been willing to sacrifice everything to get to it. 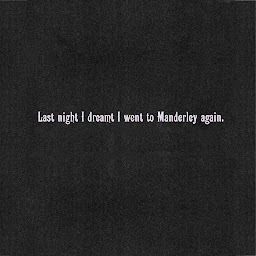 Stacy: What is your favorite book/story you have written thus far? And why? Karen: That’s hard. It’s kind of like asking a mother which one of her children she loves best. I suppose the one I have the warmest place in my heart for is A QUESTION OF FIRE. It was actually the second complete novel I wrote, though it didn’t sell until many years and many rewrites later. It’s had a checkered past where it was briefly available in paperback form, then later brought out by two small press publishers, both of whom folded. The advent of epublishing meant that I’ve been able to bring it out myself now and make it available again. The book has my favorite heroine of any I’ve written. 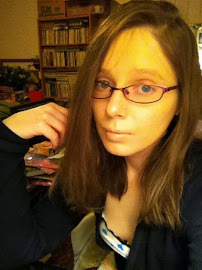 Stacy: Being a writer of gothic fiction, I can only imagine you are also a fan of the genre. 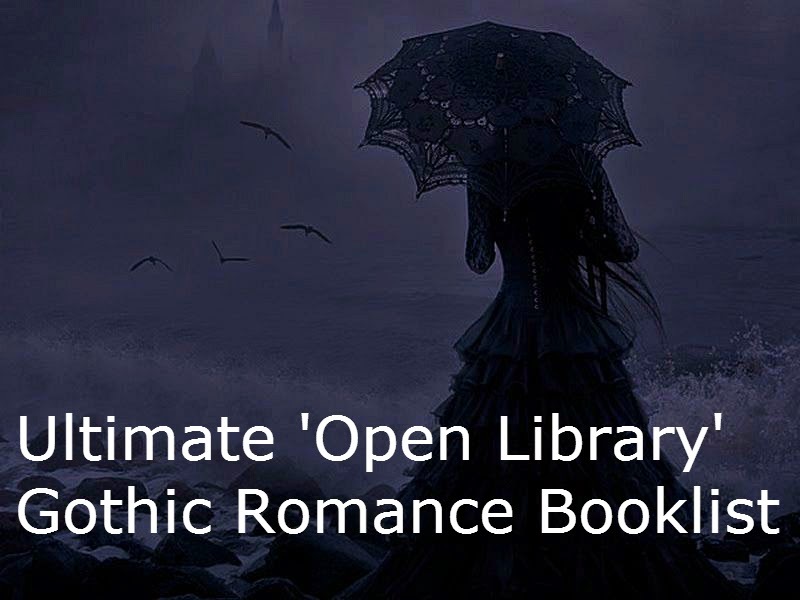 What is your favorite gothic romance book? Karen: I’m very much a fan of the genre. As a teenager I glommed onto the gothic romances prevalent in the late sixties and early seventies. Read everyone I could get my hands on. I’m not sure I can point to just one, but I do have a few favorites. Two lesser-known books that I’ve re-read and still love are FAIRER THAN SHE by Theresa Charles, who wrote a lot of romances, most of which are hard to get, though none of the others really worked for me the way that one did, and an early Virginia Coffman book called THE DEVIL VICAR. That one was later re-released as part of her Moura series with a slightly different title, but it was the original I fell in love with. It’s pretty classic gothic, with a creepy setting, a spirited, but not stupid heroine who is mostly on her own, and a damaged, enigmatic but attractive hero who may or may not also be the villain. Beyond them, I love anything by the late Barbara Mertz, especially writing as Barbara Michaels, but favor AMMIE, COME HOME (one of the best ghost stories, ever, despite sounding a bit dated these days), WITCH, INTO THE DARKNESS, and PRINCE OF DARKNESS (despite its incredibly jarring point of view change right in the middle). And almost anything by Mary Steward, but especially MADAM, WILL YOU TALK?, THE IVY TREE, and THIS ROUGH MAGIC. Stacy: Who is an author that you admire, that you feel has influenced your work? Karen: There are a number of them, but I think the two that had the most influence on my work would be Andre Norton and Barbara Mertz. 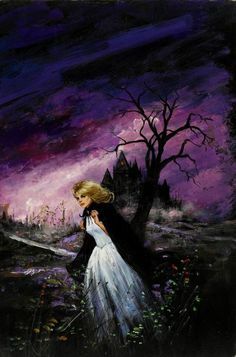 Andre Norton showed me that fantasy and romance could blend in very interesting ways, while Barbara Mertz, writing as both Barbara Michaels and Elizabeth Peters brought to life a wonderful assortment of quirky but very intelligent characters and sent them on fabulous adventures. Stacy: I loved your book, “A Vampire’s Christmas Carol.” Can you tell me when your next book will be released, and the title? Can you give us a spoiler on what the book is about? Karen: I actually have several things in the pipeline. In the fall I’ll be re-releasing via self-publishing a novella that was originally part of the Shadowed Hearts series. It was called HEART OF THE NIGHT, but I’ll probably be doing it with a new title and haven’t decided what that will be yet. It’s another story with an unusual hero in need of earning redemption, only in some ways his back story is much more brutal than Michael’s. I also hope to re-release another of my Avalon books in time for Christmas, since that one was a holiday story. I’m also debating whether to keep the publisher’s original title for it, BLUE DECEMBER. That wasn’t my choice and I’m not totally wild about it. And finally, I’m also working on the second novel in my Market Center Mysteries series, tentatively titled WIRED FOR MURDER. No publishing date on that yet. 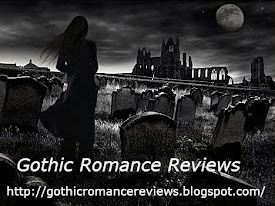 Stacy: And last, but certainly not least, as a successful writer of contemporary gothic romance, what is one piece of advice you would give a writer just starting out with hopes of writing and publishing gothic romance stories? Karen: Actually, it’s the same advice I’d give any writer starting out with the idea of publishing their work: don’t be too impatient and grow a thick skin. This isn’t a business for the faint of heart. Whether you set out to publish via the large corporate publishers, with smaller specialty presses, or even self-publish, you need to make your story the absolute best it can be before you ever turn it loose. That means taking the time with each book to polish, polish, polish, then have it critiqued, rewrite, polish some more, then have it edited before you send it anywhere. And once it’s out, either to publishers or readers, be prepared for rejection – lots of it – and harsh reviews. They happen! As I mentioned, it’s a rough business. You have to really love writing to survive in it. Stacy: Well that about wraps things up. Karen, I'd like to personally thank you for offering so much insight and taking the time to be part of my blog. I will definitely be on the lookout for more books (particularly the Market Center Mysteries) and would love to review another soon! Karen McCullough is a web designer and the author of a dozen published novels and novellas in the mystery, romantic suspense, and fantasy genres. She's won numerous awards, including an Eppie Award for best fantasy novel. Her short fiction has appeared in several anthologies and numerous small press publications in the fantasy, science fiction, and romance genres. Her most recent release was A Gift for Murder, published in hardcover by Five Star, paperback by Worldwide Mystery Library and just released as an ebook. 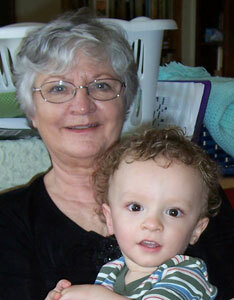 She has three children, three grandchildren and lives in Greensboro, NC.